I love flowers but I don't know much about the insects that visit them. This ignorance has occasionally nagged at me, but not much. This tiny post (because really I'm still preoccupied with the Shakespeare Garden) is a gesture in that direction. The internet, of course, has made it much easier for non-specialists to have a fair stab at insect ID. Female Drone Fly (Eristalis tenax). Frome, 21st August 2018. 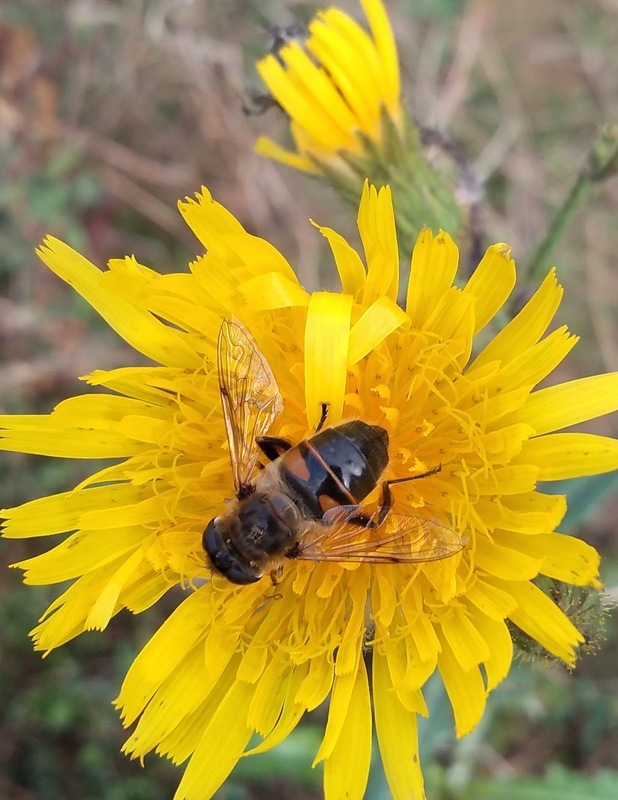 This was meant to be a photo of a particularly luscious newly opened bloom of Perennial Sow-thistle (Sonchus arvensis), but it was photobombed by this insect. The insect seemed familiar, and so it ought to. The cosmopolitan Eristalis tenax is, according to Wikipedia, the most widely distributed syrphid (hoverfly) species in the world. The males look different from the females (though just as familiar). The larvae are rat-tailed maggots living in sewers and stagnant pools where there's a nice crop of bacteria to feed on. Small Copper (Lycaena phlaeas ssp. eleus ab. caeruleopunctata). Herstmonceux, 18th August 2018. Back in the gardens of Herstmonceux again, this was a smallish butterfly that obligingly sat still for the camera. Small Copper. OK, I'll try and remember that. This form is caeruleopunctata, with a row of blue dots on the hindwing. 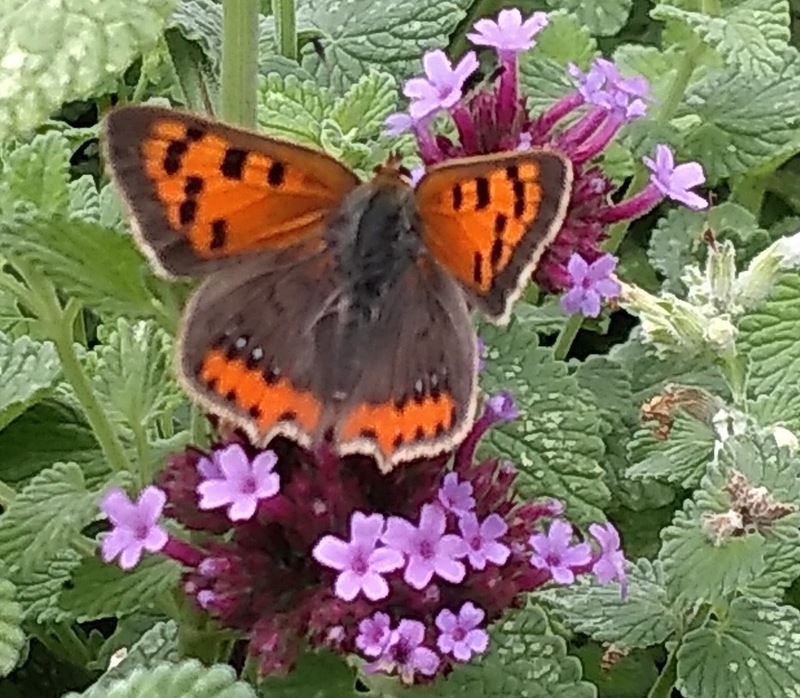 It's basking on some verbena (V. bonariensis or similar).